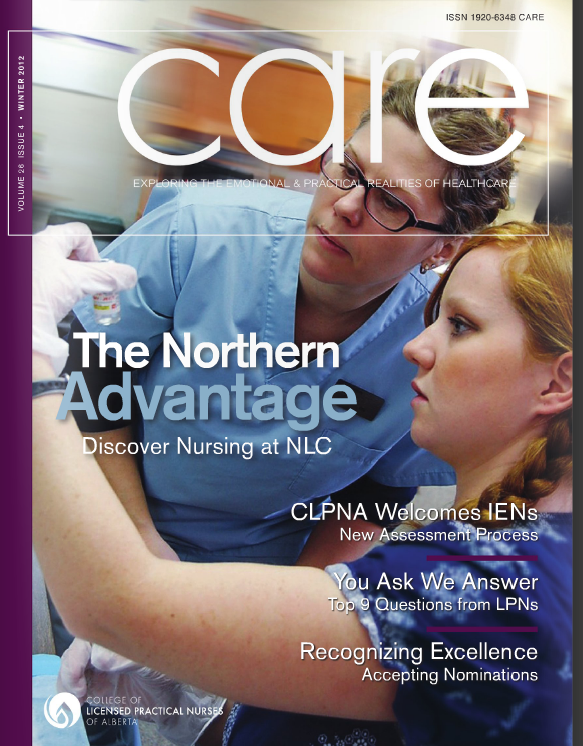 I had a new writing and photography feature published in CARE magazine, about the nursing program at Northern Lakes College. I so enjoyed my time up north, visiting Slave Lake, High Prairie, Valleyview and Grande Prairie. I experienced such warm hospitality and was impressed by the nurses’ passion to bring education to the people in rural and remote areas.